Some books are worth rereading from time to time, and there are two written by Robert Kiyosaki that fit the bill. It can be easy to fall back into old habits, and I have found that these two books are helpful in order to reassess goals and aspirations. On this episode of Investing in Real Estate, I’m discussing principles from Rich Dad Poor Dad and Rich Dad’s Cashflow Quadrant. 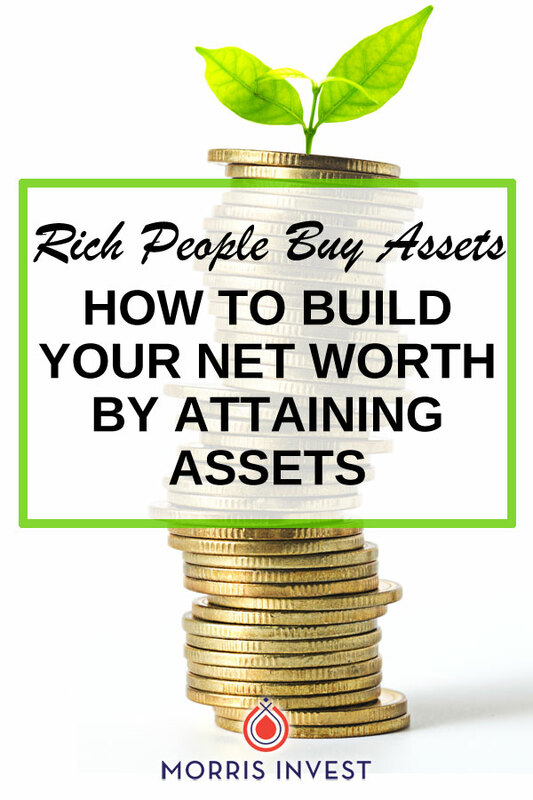 I’ll talk about how to build your net worth by attaining assets, and why it’s so important. Don’t miss episode 141! The story outlined in Rich Dad Poor Dad is the foundation of all of real estate investing! Rich Dad Poor Dad is filled with invaluable pearls of wisdom about investing, having your money work for you, and gaining control of your finances. Many successful investors began on their real estate journey after striking inspiration from this book. In Rich Dad Poor Dad, Kiyosaki describes a poor dad mentality that many of are familiar with: go to work for a paycheck, and trade your hours for dollars. This is a flawed system. It disallows wealth building. True wealth building, particularly in our country, is built through creating wealth. This is attained through four different means highlighted in the book. They are identified as four asset classes that wealthy people buy: businesses, real estate, commodities, and mutual funds. On today’s show, I’ll discuss further the importance of building wealth through real estate. I’ll also elaborate on the principles from Cashflow Quadrant, and how you can use them to set yourself up for success. Please join me for episode 141 of Investing in Real Estate! Which two sections in the cash flow quadrant generate the most wealth? How can you save on taxes with real estate? What is the best way to create wealth? How can you make a paycheck income scalable?